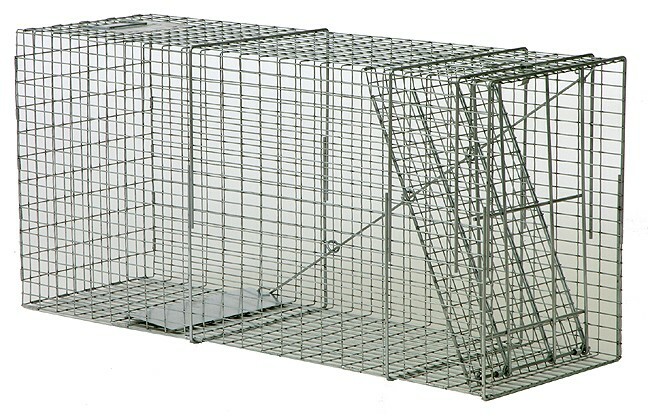 TRAP DESCRIPTION: 15" Wide x 22" Tall x 48" Long. This trap is much like the LT151842 except it is taller and longer. This allows animals to be more comfortable when they enter. 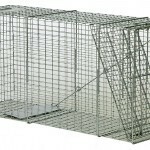 Built like the LT151842, this trap uses 12 gauge wire, a locking mechanism to prevent escape and a spring loaded door. This is important when dealing with large animals which have the ability to roll a trap over. Once the door on this trap closes, the animal is caught for good.